Connecticut, United States District Court for the District of Connecticut, United States Court of Appeals for the Second Circuit. Mr. McHale is a frequently requested speaker on employee relations and labor and employment law at functions sponsored by various professional associations and employer organizations. Member: American, Connecticut and Hartford County Bar Associations; Connecticut Public Employer Labor Relations Association; Industrial Relations Research Association; International Personnel Management Association. Mr. McHale has been selected to be listed in The Best Lawyers in America® in the practice areas of Employment Law – Management and Labor Law – Management since 2009. 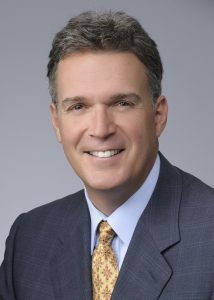 Mr. McHale has also been selected as a Connecticut and New England Super Lawyer®: Employment and Labor from 2007-2016. In addition, he has received a peer review rating of “BV Distinguished” from Martindale-Hubbell. 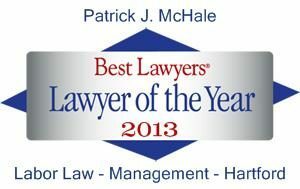 Mr. McHale was also named the Best Lawyers’ 2013 Hartford Labor Law – Management “Lawyer of the Year”. Only a single lawyer in each practice area in each community is honored as the “Lawyer of the Year”.